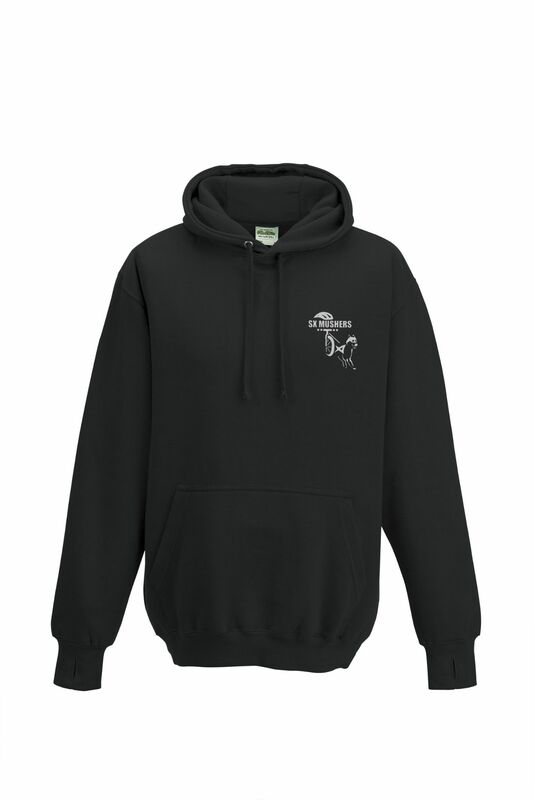 Black SX Mushers hoodie. There will be a small logo on the front and a larger version on the back. This is the premium hoodie and only comes in unisex. Please email if you would like a ladies fit (quality would not be as good). 80% cotton and 20% polyester, 330gsm.